RatePlug gives homebuyers live, accurate mortgage payment information from your preferred lenders and also notifies the buyer if the property is eligible for special financing. 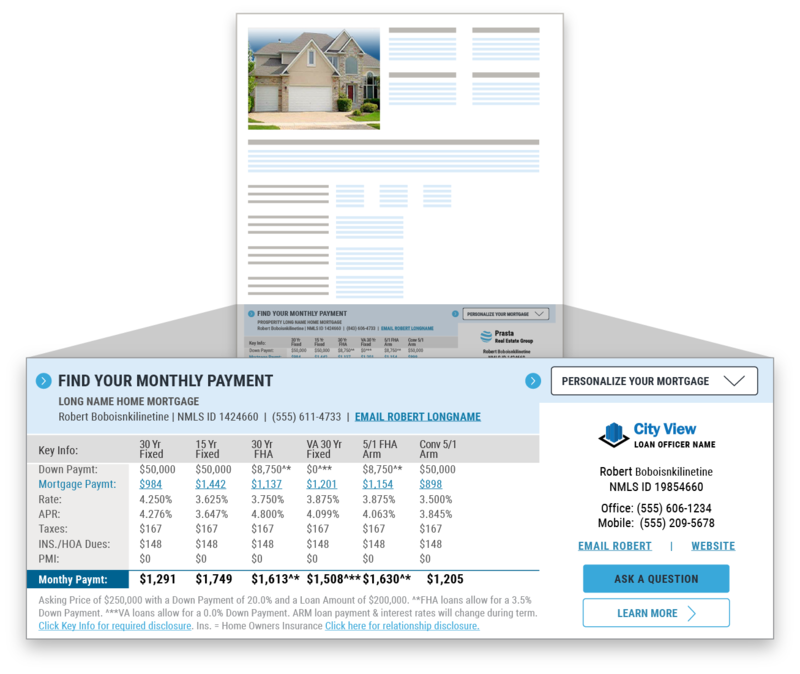 This information helps to qualify more buyers and close deals faster. Showing rates from your lenders helps to ensure that buyers are getting financing from someone you trust. RatePlug's accurate monthly cost-to-own estimates are customized with rates and products from your personal lenders. And there is no cost to you to activate RatePlug. It is already included with your MRED subscription. Simply activate RatePlug to get started. 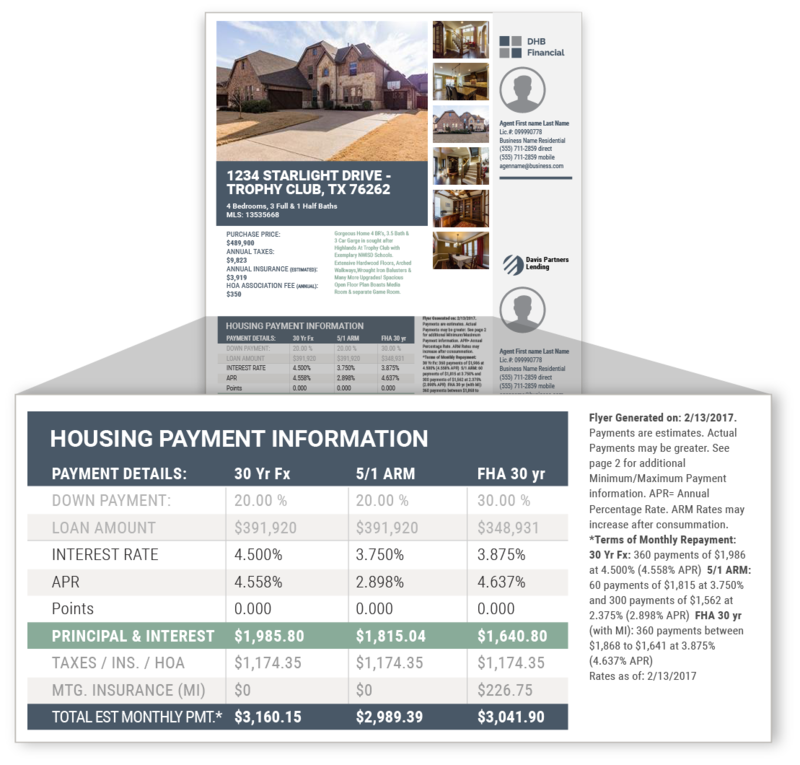 When you list a new property on MRED, RatePlug also allows you to create custom flyers that display your lenders mortgage information. Unlike typical mortgage calculators, RatePlug leverages the full property details, and your lender's real rates and products. It also accounts for special financing like USDA -- Zero Down Payment, VA and FHA loan eligibility. This means homebuyers get an accurate cost and are more likely to be well qualified buyers when they contact you. For approved MLS markets and Associations of Realtors, RatePlug has streamlined access to FHA approved condominiums. For each condominium listing, agents can click through to see the eligibility report.